This 8-billion-year-old cosmic bauble, comprising of a remarkable half-million stars, is considered as one among the brightest and largest spherical clusters to be ever discovered. Yet, the extra special feature of the Messier 3 is attributed to its incredibly huge population of variable stars, which vary in brightness over time. 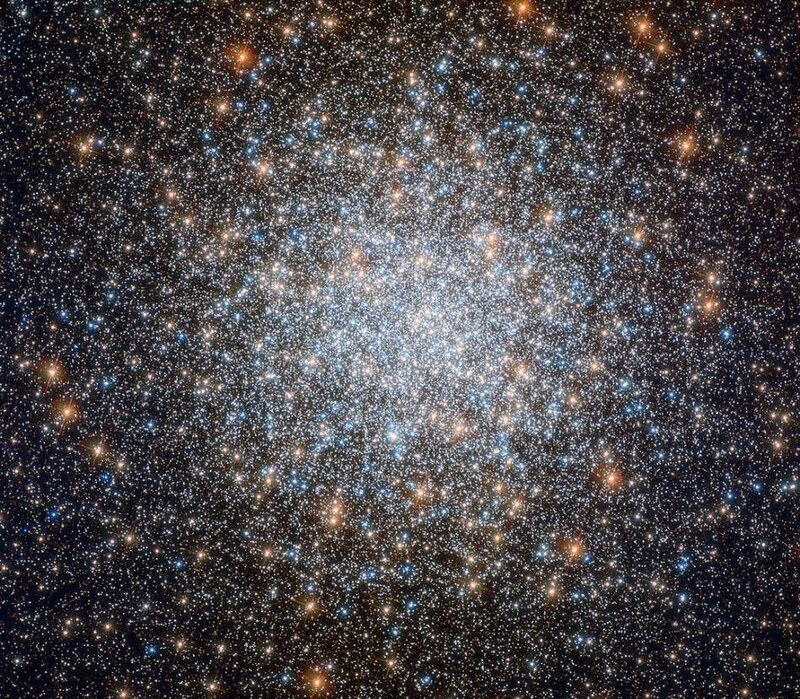 Even to this day, new variable stars are being discovered in this glittering stellar nest; however, to date, people are aware of 274 stars—the highest number ever found in any spherical cluster. Among these, 170 are of a unique variety known as RR Lyrae variables, which are capable of pulsing with a period directly associated with their inherent brightness. Astronomers can figure out the distance of a star from humans, by knowing its exact brightness based on its classification and mass and by knowing the level of its brightness perceived by humans’ on Earth. Owing to this reason, RR Lyrae stars are called standard candles—that is, objects of known luminosity whose position and distance can be utilized to better understand more about the scale of the cosmos and the huge celestial distances. Furthermore, Messier 3 has a comparatively high number of what is known as blue stragglers, which are clearly displayed in this Hubble image. Blue main sequence stars like these seem to be nascent because they are more luminous and bluer when compared to other stars present in the cluster. Since all the stars in spherical clusters are assumed to have originated together and thus believed to be about the same age, only a variation in mass can give different color to these stars. When a red, old star acquires additional mass, it can seem to be bluer, for example, by stripping it from a neighboring star. The additional mass changes it into a bluer star, which makes one believe that it is younger than it actually is. Hubble’s Messier catalog includes the Messier 3. The catalog contains some of the most interesting objects that can be viewed from the Northern Hemisphere of Earth.